The Five Day Pouch Test is a "reset" diet for people who have had gastric bypass surgery and might be starting to regain weight. Gastric bypass is usually performed only on people with a BMI of 30 or higher who have serious health risks due to their obesity. It's a permanent change to your digestive system that entails dividing your stomach into two sections and reattaching your intestinal tract to your new smaller stomach -- often referred to as a "pouch." After surgery, your pouch can only hold a few ounces, but it's common for your pouch to stretch over time, allowing you to eat more food. The Five Day Pouch Test isn't a weight loss diet, but rather a way to reset your pouch and help control overeating. Drink only liquids for the first two days of the five-day diet. You'll need to drink at least 48 oz. of water in addition to low-carb protein shakes. You can drink as many shakes as you want; the point of the first 48 hours is to take a break from your eating habits. By getting all of the nutritional needs from liquids, you'll be forced to pay attention to how often you were eating, snacking or simply grazing. 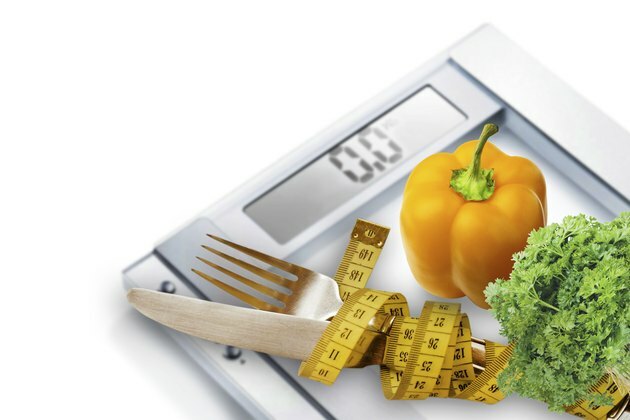 Remember: The goal during this phase isn't weight loss, but mentally re-setting your habits. You can't make your pouch smaller through changes in diet, but you can learn portion control. Eat only protein the next three days. On day three, you'll eat "soft protein" such as eggs and cottage cheese. On day four, you'll eat "ground meats" -- such as meatloaf and hamburger. On day five, you'll eat "solid proteins" such as chicken breast or a piece of fish. Limit condiments, such as salsa or mayonnaise. Foods should be as dry as possible -- which will help you gauge how full you are. You're allowed to eat as much as you'd like and as often as you like, but you must stop eating 15 minutes after you start. Do not sit and eat for longer than 15 minutes at any point during the final stage of the diet. Do not drink any liquids 30 minutes before eating or with your meals. Liquids can help push foods more quickly through your pouch, allowing you to eat more than you should. Many facets of the five-day bariatric pouch reset diet are similar to the post-op diet followed right after surgery.